We have had a very successful start to the spring term on the sporting field with many impressive performances. 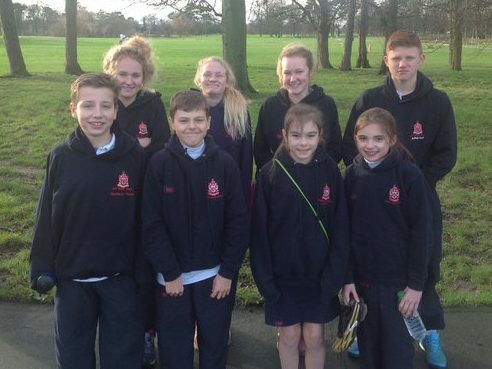 Congratulations to our cross country team competing in the County race last week. Jess came 1st, Rebecca 4th, Matthew 6th, Lily C-S 8th Joshua 10th, Harry 13th, Lily P 14th and Lucy 18th. The girls have had good starts in both netball and hockey with wins against Ian Ramsey, Fyling Hall, Cundall Manor and Teesside High. The boys have also made a good to the football season and in hockey with wins against Fyling Hall and Cundall Manor. Well done to all pupils involved in representing the School. Following their impressive performances at the ISA North swimming competition, towards the end of last year, we send our best wishes to Rebecca and Jess Hall, Matthew Scott, Jamie Darnton, Josh Scott and Ethan Brown who are competing in the ISA National Championships in the Olympic Aquatic Centre, Stratford, London this weekend.